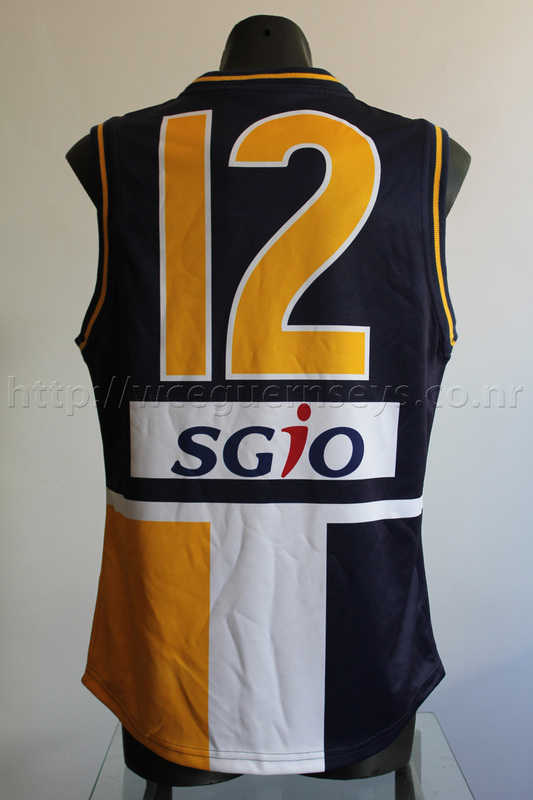 Puma prototypes come printed with number 12 on the back, so this isn't a player issue. 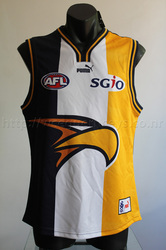 This prototype was manufactured in 2006, so it has all the attributes of a 2006 guernsey. The front Puma badge is printed on. 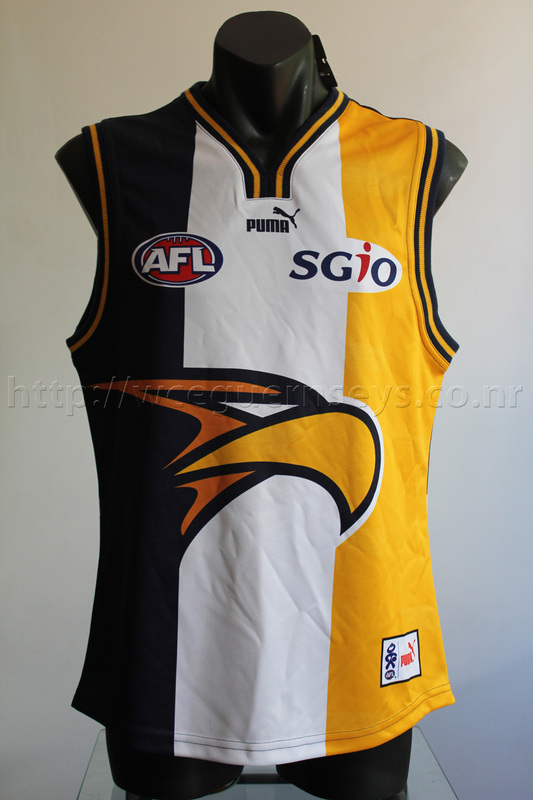 There are also very faint watermarks throughout. The number on the back has the thinner white line but no AFL logos. 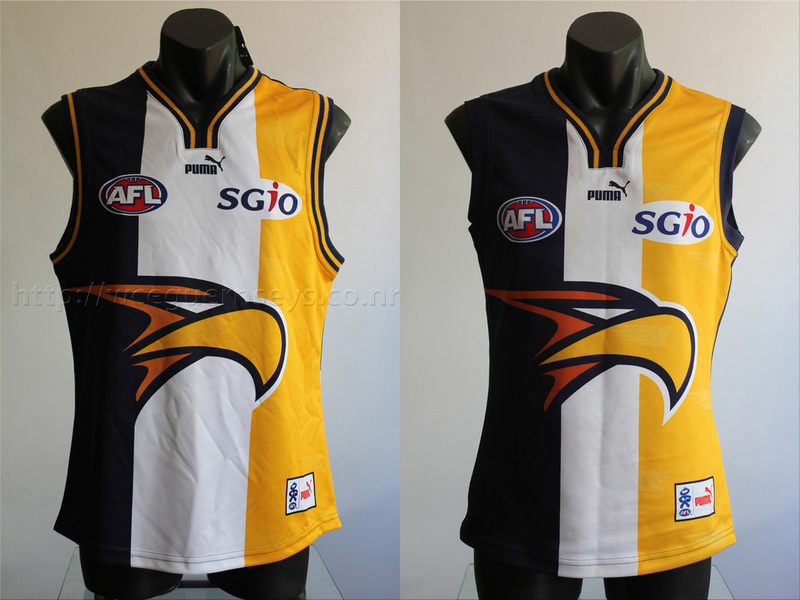 The obvious major difference between the prototype and the 2007 player issue is the width of the white stripe. On the prototype the lines line up with the neck and beak of the eagle but obviously they felt it was too much white.